General objective of this article is to discuss on various Stages of Dental Care Following Dental Injury. 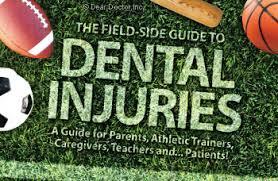 Dental trauma during activities or from an accident can be quite traumatic. These injuries, otherwise addressed properly and within a timely manner, can result in future damages that will not be reversible. The function and health in the dentition is critical, but esthetic consideration can also be of high priority when an accident occurs in the esthetic zone in the patient.